Ahead of rival tablet-maker Amazon, Google on Tuesday launched the Nexus 7 tablet in Japan with strong content support that includes the arrival of Books on Google Play and movies from Sony and Paramount. Google launched the device at a media event with Chairman Eric Schmidt in attendance. The 16GB Nexus 7 will be sold on Google Play for 19,800 yen ($254) starting today, and will come to select partners, including: Edion, K’s Denki, Kojima Denki, Joshin Denki, Bic Camera, Best Denki, and Yodobashi Camera, beginning October 2nd. Buyers will also receive a 2,000 yen ($26) Google Play credit with the purchase of the tablet in Japan. In a move that will sweeten the pot for would-be Nexus 7 purchasers, Google is making a major content push on Google Play in Japan. The company is adding its Books app to the marketplace and has also struck a deal with Sony and Paramount to offer their movies. The Nexus 7 is steadily making its way to Asia this fall. Asus announced last week that the tablet is coming to India in November and the device is already up for pre-sale in Taiwan. Getting regulatory approval in China, however, has reportedly been difficult for Google, which has a rocky relationship with the government there. Though Japan has been late to the Android smartphone revolution, adoption is rapidly picking up pace. In the past year, the number of Android devices in Japan has almost tripled, and the country now ranks third globally in terms of Google Play app installs. Smartphones have reached an almost 25 percent penetration rate in Japan, according to comScore, and Android is believed to have taken 64 percent of the market. 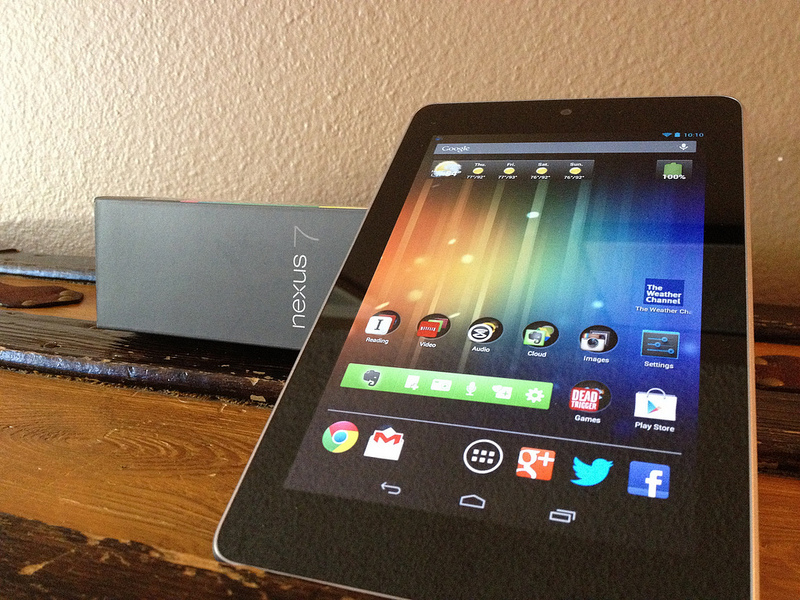 As for the tablet market, the arrival of the Nexus 7 should give Android a foothold against Apple’s iPad dominance in Japan. IDC recently upped its projections for tablet shipments, though it did forecast Android as losing market share. The firm expects Android tablets to take 35.3 percent of the market this year, down from 38.9 percent in 2011.